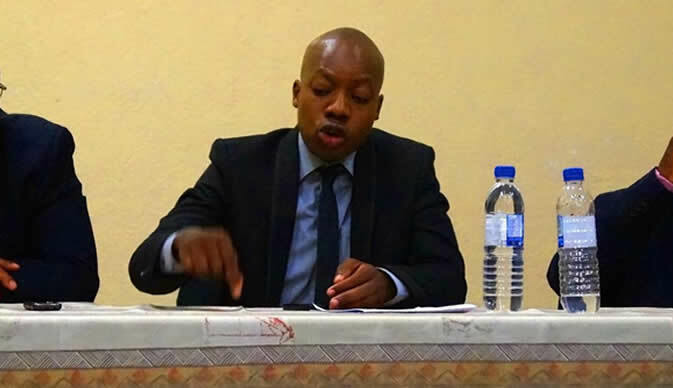 HIGHFIELD West parliamentarian Psychology Maziwisa and broadcaster Oscar Pambuka yesterday demanded that the State provide them with a transcribed record of trial evidence from former Energy and Power Development minister Samuel Undenge's case to enable them to prepare their defence. The duo appeared before Harare magistrate Lazini Ncube facing fraud charges after their company Fruitful Communications allegedly defrauded Zimbabwe Power Company (ZPC) $12 000 and a potential $36 000. Through their lawyer, Jonathan Samkange, the pair asked the State to first transcribe the evidence from Undenge's case in which the latter is facing criminal abuse of office charges after allegedly awarding Fruitful Communications a job without following procedure. "For us to continue, we ask the State to provide us with a transcribe record from the matter involving the accused Samuel Undenge in which the State's chief witnesses ZPC's public relations executive Fadzai Chisveto and its boss Noah Gwariro. "We want to first go through their testimonies from that case so that we prepare our defence," said Samkange. The State led by Michael Reza consented to the application by Samkange on behalf of his clients. The matter was rolled to July 3 for continuation.